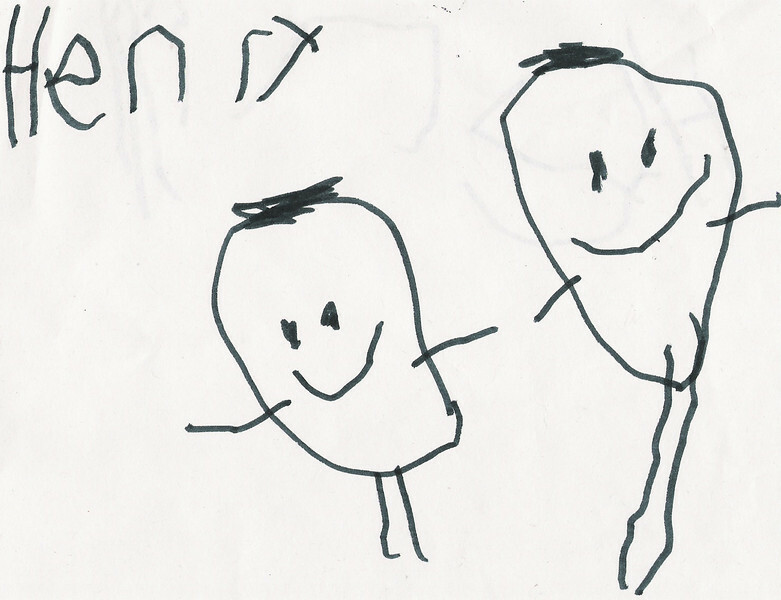 Henry learned to write his name by himself in January 2008 in his Pre-K class. He is 4 years old. This is a picture of him (on left) and me (Mom).